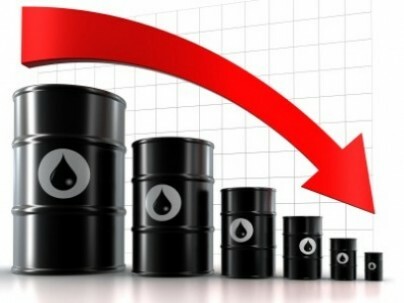 The recent sharp drop in oil prices has sparked much debate on the cause, and also the profound effects for both consuming and producing countries. Relatively little attention has been paid to the impact on renewable power, and where it has been addressed the implication has often been negative. There are at least four reasons to be optimistic that cheaper oil can be good for economies and positive for decarbonisation, if we grasp the opportunity. At current levels, some estimates suggest that lower gasoline costs alone will raise 2015 US economic growth by 0.5 percentage points. There will be a massive shift of resources from oil producing countries to net consuming regions – crucially the US, Europe, China and India. Falling fuel costs are putting serious money in consumers’ (and business’) pockets – not just through lower bills but also reduced indirect costs like logistics and manufacturing. The question is what will they do with it? Hopefully, spend and/or invest. If householders buy new cars, they are likely to be more fuel efficient; likewise if they buy new washing machines, vacuum cleaners or ‘fridges. For homes and businesses, there is also the opportunity to invest directly in energy efficient technology, from lighting to micro-generation. The smart consumer will use the ‘window’ of cheaper energy prices to fix the roof while the sun is shining, and protect themselves from future price volatility when markets inevitably recover. The greater the investment in green energy projects, the more viable these technologies are likely to become through falling costs of production and technological innovation – reducing the need for future subsidies. Solar has been a successful case in point already. In the meantime, customers are more able to bear the cost of green subsidies when the commodity cost is suppressed. According to the International Energy Agency, the global cost of government fossil fuel subsidies in 2012 was $544 billion. The Economist (appropriately enough) makes a strong economic case for phasing out these arrangements, which act as a strong disincentive to energy efficiency and decarbonisation. In the economic slowdown these costs have weighed heavily on developing world government deficits, with Indonesia and Malaysia already having taken steps to reduce the burden. The recent drop in oil has created the ideal opportunity for more action to phase out subsidies without disproportionately affecting the consumer. While this could reduce the economic boost from cheaper oil, it is relative – and also could ease the pressure on governments to raise taxes elsewhere. In a related sense, there is a similar, politically charged, decision for advanced economies to make in terms of increasing fossil fuel consumption taxation relatively painlessly. In the case of the UK, that won’t happen before the general election but don’t be surprised if the next cash-strapped administration acts quite quickly early in its term. This argument is made by many, from the IEA’s Maria van der Hoeven to Nobel laureate R K Pachauri. The latter links cutting subsidies with India’s ability to target 100 GW of solar capacity within the next ten years or so – with the Indian Prime Minister due to flesh out plans in the next week. Despite temporarily retreating oil markets, there is significant momentum behind environmental regulation and taxation policies. The ‘stick’ approach from governments and political blocs on legally-binding emissions reductions has driven significant change, from country-level overarching targets to tightening controls on manufacturers. The example of binding EU directives on vehicle emissions and domestic appliance energy ratings shows that this approach can have a significant effect. The average car sold in Europe in 2013 was 10% more efficient than three years earlier – and the bar has been lowered further out to 2020. Meanwhile, rising grid costs and green levies are mitigating falling commodity rates in energy supply, and so are still incentivising efficiency, self-generation and so on. Lastly, oil only makes up 5% of the primary fuel mix for global electricity generation, and its share is falling rapidly because it is too expensive. Of course it is not the only fossil fuel, with the role of coal and gas much more significant. However, the American experience has shown that shale gas can have a positive impact on emissions from the sector in the extent to which it displaces dirtier coal and acts as a ‘bridge fuel’ towards a low carbon energy mix in future. Equally, Germany’s paradox of booming renewable power and – simultaneously – increasing coal burn should act as a warning not to stray from the path of decarbonisation. I hope you enjoyed this post – if so please browse my previous posts here, including the most recent on tight power margins. Never considered the drop in fuel as opening up opportunities for green investment- brilliant way of thinking. However prices in the UK seem to slowly be rising back up, is the US the same? Thanks for reading and commenting Paul. There is some interesting data to consider – Brent crude has bounced back almost 30% since early January – but is still nearly a half lower than last summer (in dollar terms). So road fuel has been rising recently – but UK sales were 6.2% lower in March than February. Meanwhile, UK new car registrations last month were the highest this century – on average the cars entering the mix will be significantly more fuel efficient than those they replace. So you can argue that a pattern has emerged of more money in pockets leading to energy efficient investments. The US will see a concentrated version of this (lower fuel taxes means prices at gas stations move more closely in line with the commodity), so again fuel is on the way up, but still way lower than last summer. So given the overall market position, I think the arguments from January still hold true.